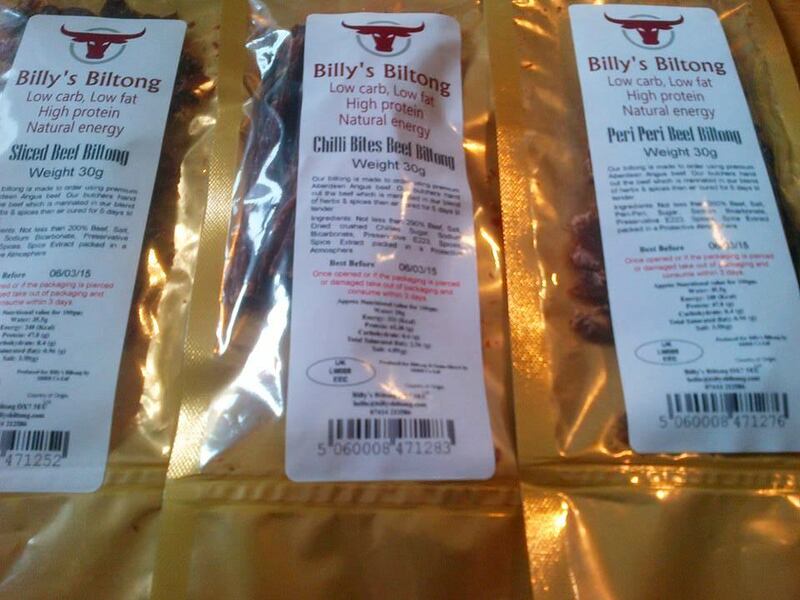 The popularity of Biltong as a healthy snack alternative has risen massively in the UK in the last few years, and since tasting some of Billy's Biltong we can certainly see why. Originating in South Africa various meats can be used to produce it. Billy's specialises in beef and uses only grass-fed Aberdeen Angus premium Silverside matured on the bone for extra flavour. Low in carbs and fat but high protein, this is perfect for any sport, fitness and outdoor pursuit enthusiasts but is as tasty as it is healthy! We got to try the Original British Beef Biltong, British Beef Chilli Bites and Peri peri British Beef Biltong snack bags. These can be bought separately or as a "Taster pack" for only £4.50. We tried the original sliced Beef pack first as we didn't want any of the other flavours to over power it. You could instantly taste the quality of the meat. It is definitely a Biltong for any occasion and an ideal healthy option for children's lunch boxes or complimenting a bottle of red! The Peri Peri packed a punch. Perhaps a punch that we didn't expect but a punch we thoroughly enjoyed! The heat wasn't at all overpowering and was very addictive. After the Peri Peri, we didn't know what to expect from the Chilli Bites. There was a kick of flavour that lasted long after each bite. It was a perfect balance and quickly became our favourite. The fact that they are in stick form rather than sliced just added to the fact that you had longer to enjoy each one! "It's a delicious mouth-watering snack that will definitely have you coming back for more" as proclaimed on the Billy's Biltong website. They are not wrong!